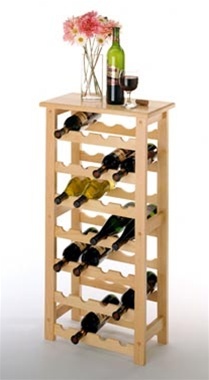 The Beechwood Wine Rack with seven scalloped crossbars holds up to 28 bottles of wine. Comes in beechwood wood in natural finish. Easy assembly.